Originally written over a period from about 1979 to the early 1980s, the first in the trilogy was inspired by the theatre of the absurd and focused on the nature of human relationships across the fabric of space-time. 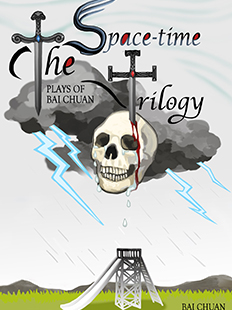 The second, written in the late 1980s and the following early 1990s, was focused on repercussions of events across space-time; and then the third, written in 2000 and after, more or less concludes the trilogy with elements of the preceding two interwoven and coming to grips with the vicissitudes of life. Bai Chuan, as a supporter of free verse since childhood, his translation is a product of the imagination as well as many years of hard work.